This is the kind of activism that works in this day and age. Now expect various Indian sympathisers - or paid agents - in the western press to inexplicably push a few anti-Sikh stories into the foreground to counter any potential good this work might do. There's one line that's trotted out whenever there's a conversation of India's mistreatment of Sikhs, and it's, "If India was anti-Sikh, why was a Sikh elected as Prime Minister?" It's a completely reductive argument that conveniently bypasses countless instances in history where a few select ambitious individuals (who lack any wider sense of affinity for the plight of their brethren) from within a "troublesome" minority community are purposefully selected and elevated to key positions in the majority's administration in order to muddy the waters and give the impression to outsiders that there is no systemic discrimination. 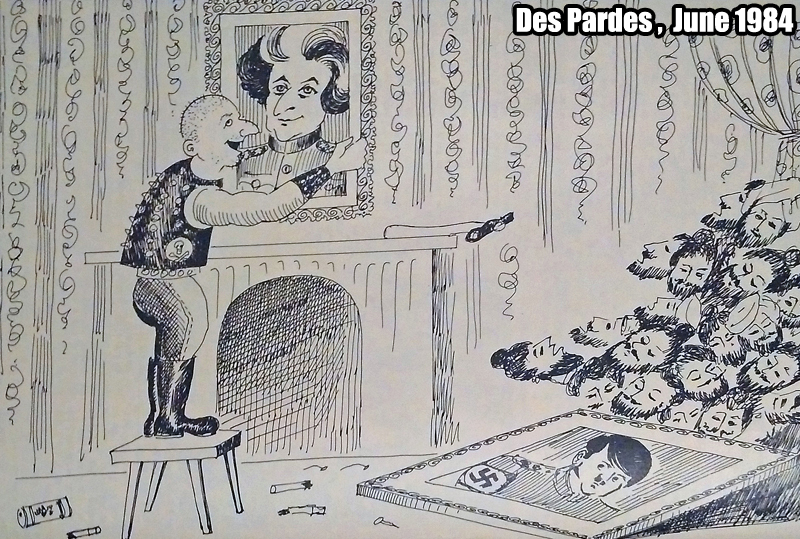 There were Jews in Germany who collaborated with the Nazis for business reasons and for their own selfish purposes, and that's arguably the most concise and striking example to offer someone who's peddling Indian propaganda about Manmohan Singh. This is before we even get into the argument of the turban not signifying religious adherence, as much as being white doesn't denote a devotion for Christianity. "If India was anti-Sikh, why was a Sikh elected as Prime Minister?" Yeah. That's like saying America isn't knee deep in racists because Obama was President. For Indians to be pushing this line of reasoning is hypocritical. Pick up any text book on the so-called British Atrocities and you will see that at least several chapters are entitled to demeaning traitors who acquired prominence with the white man by betraying the black. It's not just Indians who play these games, sometimes it's our own people and others, such as the British and Americans, who've been conditioned to believe these lies. They point to the United Nations hearing when Manmohan Singh was directly asked whether India had purposefully targeted Sikhs for elimination during the 80's and 90's, and his reply in the negative apparently settles all arguments, because "one of our own" categorically denied such a thing took place, therefore it must be true(!). When going toe to toe with such people for whom facts and truths can conveniently assume many forms dependent on the time of the day, lol, you've got to be prepared with as many direct and easily relatable comparisons that they simply cannot refute. The Nazi and Jew collaboration angle is perhaps one of the most suitable, because of the West's continued obsession with Hitler and his regime. It's a language they understand, because it's the only one they speak. Same with the previously identified Obama example. "Did racism suddenly evaporate in the United States when the Obamas made the White House their home?" Too many are all too eager to defend that which should never be defended for their own vested interests. The facts are alien to such people. Ideology and politics are the only things that matter to these people. The only weapon that's effective in such moments is the truth. When going toe to toe with such people for whom facts and truths can conveniently assume many forms dependent on the time of the day, lol, you've got to be prepared with as many direct and easily identifiable comparisons that they simply cannot refute. The Nazi and Jew collaboration angle is perhaps one of the most suitable, because of the West's continued obsession with Hitler and his regime. It's a language they understand, because it's the only one they speak. Same with the previously identified Obama example. "Did racism suddenly evaporate in the United States when the Obamas made the White House their home?" Too many are all too eager to defend that which should never be defended for their own vested interests. The facts are alien to such people. Ideology and politics are the only things that matter to these people. The only weapon that's effective in such moments is the truth. 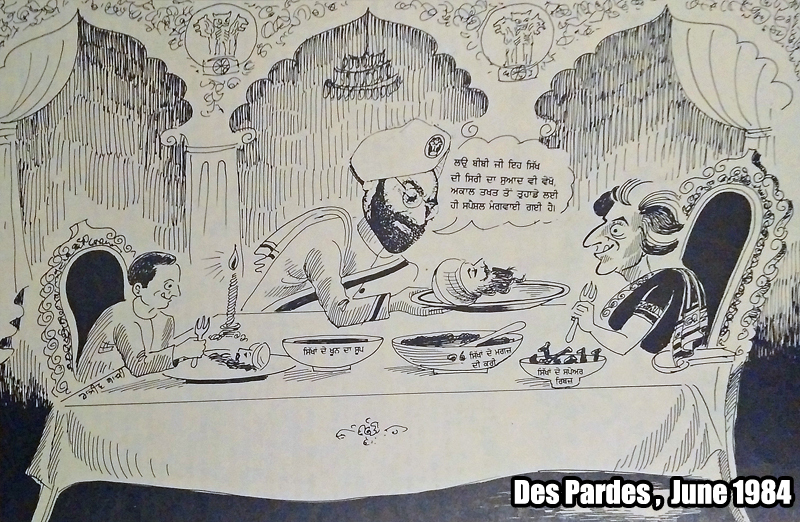 They also have some of Santa Singh Nihang bowing to Rajiv Gandhi- will try finding those as well. On the subject of Des Pardes and after the professional hit on Purewal due to his refusal to stop publishing weekly pictures of shaheeds and reporting on the atrocities, did the police brush it under the carpet? Manmohan Singh belongs to that small coterie of essentially keshadhari Hindus who would sell their own mothers to get power. 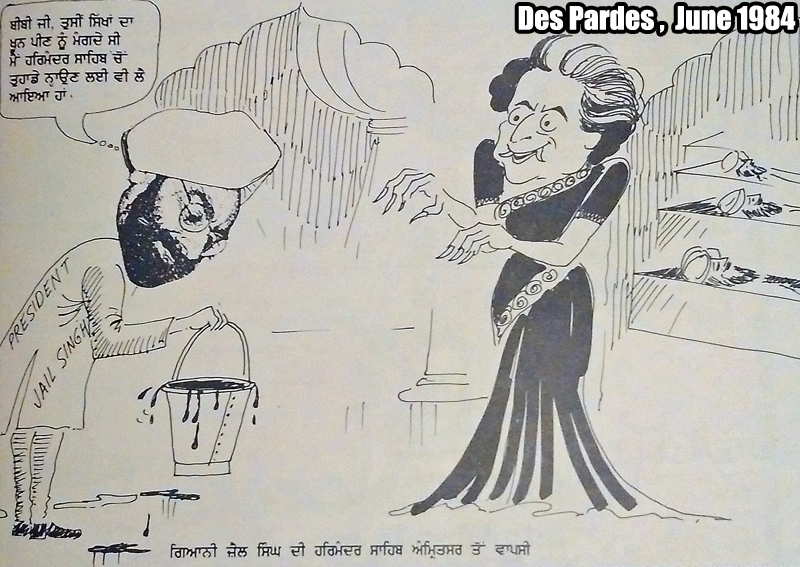 This coterie included Zail Singh, Khushwant Singh and the Badals etc. Manmohan Singh served a useful purpose to the Hindu ruling elite in that having a visible 'Sikh' could be used to effectively deny that Sikhs were being discriminated against. I am in total agreement with you that we need to present MS in terms that the west understand. The best example would be Vidkun Quisling. a traitor who was used and allowed himself to be used by the Nazis to rule occupied Norway during WW2. His name is now a byword for traitor. He was executed by the Norway govt in 1945. Another example are those British the most prominent being the former King Edward VIII who is said to have stated before the Blitz began that peace between Britain and Germany would come once Britain was effectively bombed by Germany. Traitors exist in all nations and among all communities. 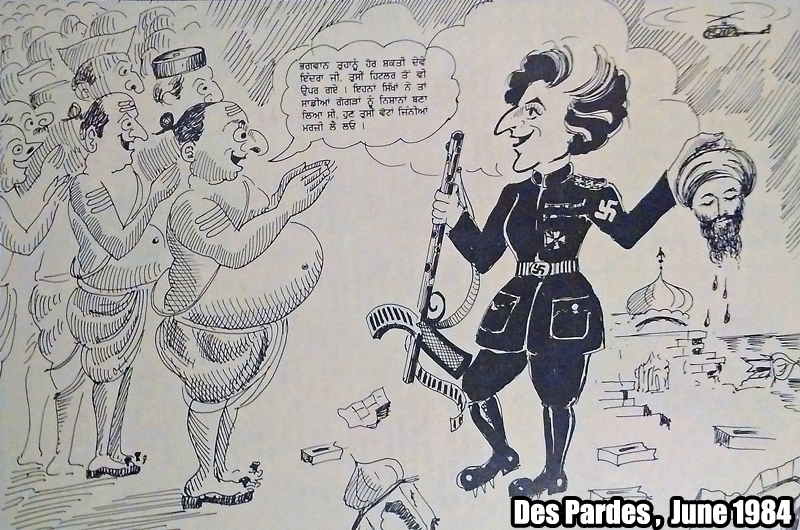 The most effective response to those who use Manmohan Singh as an example of Sikhs being treated fairly in India is ask whether the other party is aware that had Hitler invaded Britain in 1940 there would literally have been thousands of British people such as the members of Mosely's British union of fascists who numbered over over 20000 in 1939 who would betrayed their country to be a part of Hitler's occupation government.